A continuing, comprehensive and timely survey of the state of knowledge of ocean science, this distinguished series provides an overview of research frontiers as ocean science progresses. Areas covered include physical, biological, and chemical oceanography, marine geology, and geophysics and the interactions of the oceans with the atmosphere, the solid earth, and ice. Because ocean science is evolving so rapidly, straining the boundaries of traditional sub-disciplines, interdisciplinary topics have a special place in this series—including those topics related to the application of ocean science, for example, to ocean technology, marine operations, and the resources of the sea. As a treatise on advances and new developments, each topical volume starts with fundamentals and covers recent progress, so as to provide a balanced account of how oceanography is evolving. 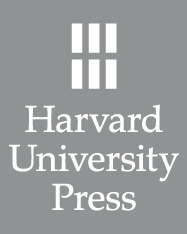 Previous volumes (1–13) in the series are now available from Harvard University Press. In the manifold, multidisciplinary efforts of science to understand and manage our planet, contemporary ocean science plays an essential role. Volumes 13 and 14 of the series The Sea focus on two of the most important components in the interdisciplinary field of ocean science today—the coastal ocean and its interactions with the deep sea, and coupled physical–biogeochemical and ecosystem dynamics. Comprehensive, definitive studies, these volumes chart the real progress being made by ocean scientists in achieving lasting scientific understanding; specifically, they address issues surrounding significant applications—for coastal regions and in general—such as: the development of monitoring and prediction systems; functionality and stability of ecosystems; eutrophication; harmful algae blooms; habitat modification; and regime shift. Intended as companion volumes to Volumes 10 and 11 on physical coastal oceanography, these studies of the global coastal ocean continue the series’ overall effort to encourage and facilitate coastal and shelf ocean sciences and technology on a global basis.